Zerbaxa is a combination product consisting of a cephalosporin-class antibacterial drug and a beta-lactamase inhibitor. 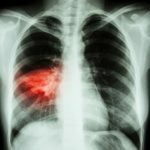 Zerbaxa (ceftolozane and tazobactam; Merck) was found to be non-inferior to meropenem in the treatment of adult patients with either ventilated hospital-acquired bacterial pneumonia (HABP) or ventilator-associated bacterial pneumonia (VABP), according to data from the Phase 3 ASPECT-NP study. In the study, patients diagnosed with ventilated HABP or VABP (N=726) were randomized to receive either Zerbaxa 3g (investigational dose) or meropenem 1g, each given intravenously every 8 hours for 8 to 14 days (or for 14 days for Pseudomonas aeruginosa). Results showed that the trial met its pre-specified primary endpoints demonstrating non-inferiority to meropenem in Day 28 all-cause mortality and in clinical cure rate at the test-of-cure visit. The full findings from the study will be presented at a future scientific conference; Merck plans to include the data in a supplemental New Drug Application for Zerbaxa which will be submitted to the Food and Drug Administration. Zerbaxa, a combination product consisting of a cephalosporin-class antibacterial drug and a beta-lactamase inhibitor, is currently indicated for the treatment of the following infections caused by designated susceptible microorganisms: complicated intra-abdominal infections, used in combination with metronidazole; complicated urinary tract infections, including pyelonephritis.